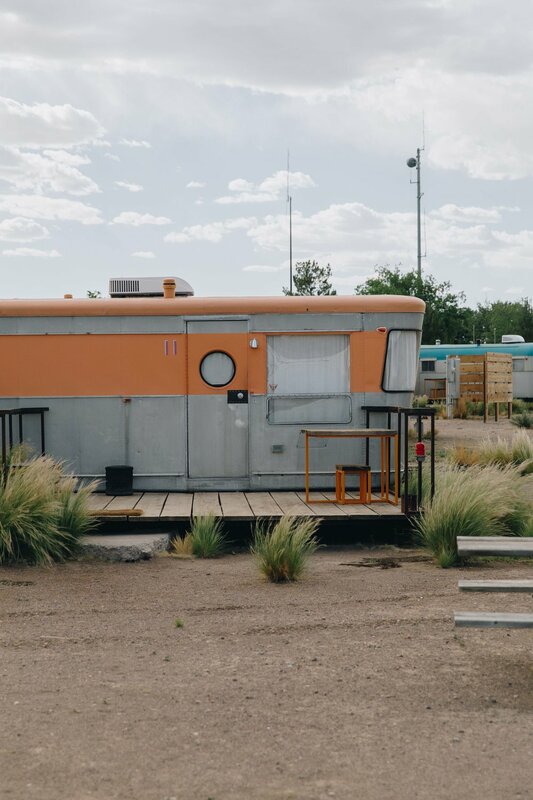 Like so many of you, I'm sure, I've always been intrigued by Marfa, Texas. You hear about this town in what they call: the middle of nowhere. 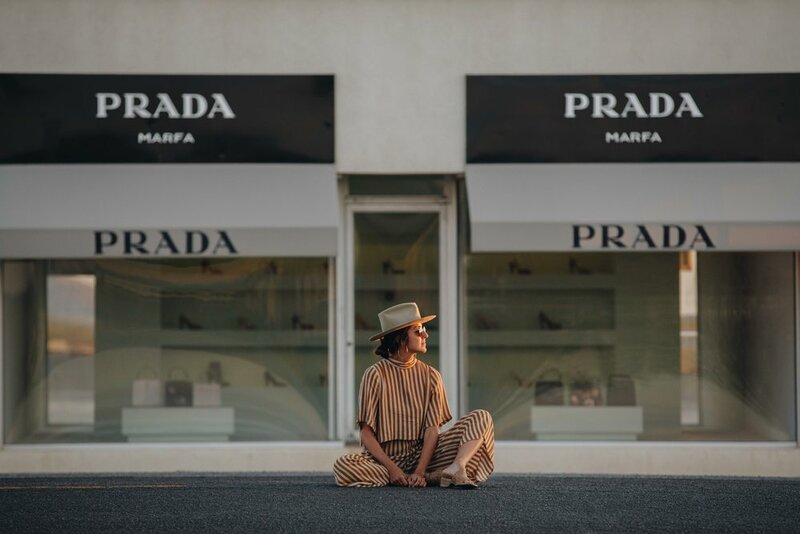 You see the Prada store, you hear of creatives moving in, but what exactly is the vibe in Marfa? What's bringing people from around the world to make the 6 hr drive from any nearby airport to visit this West Texas town? I would say one of the main babes of this town is the light. 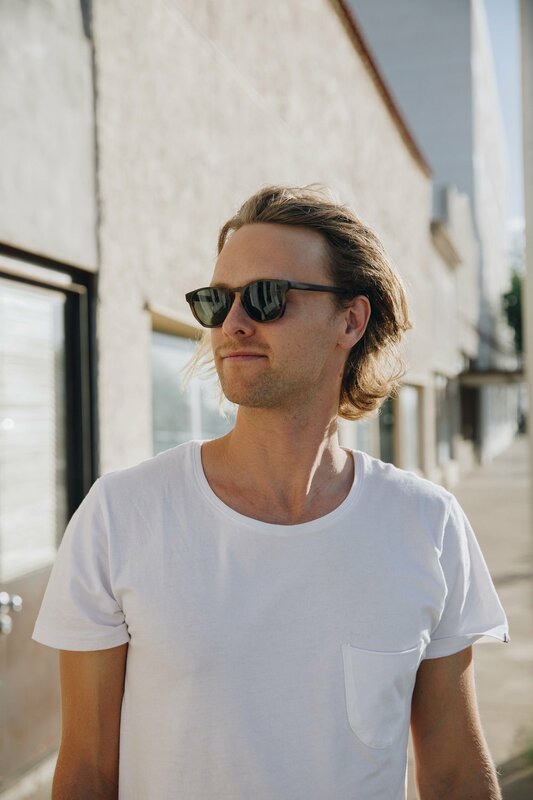 We drove from Roswell, New Mexico into Marfa and found ourselves on roads for hours without anyone else there. It still baffles me that with so many human beings on this planet there are still empty and vast lands in the United States. For miles you see nothing. We even stopped to just dance in the middle of the road because we could. 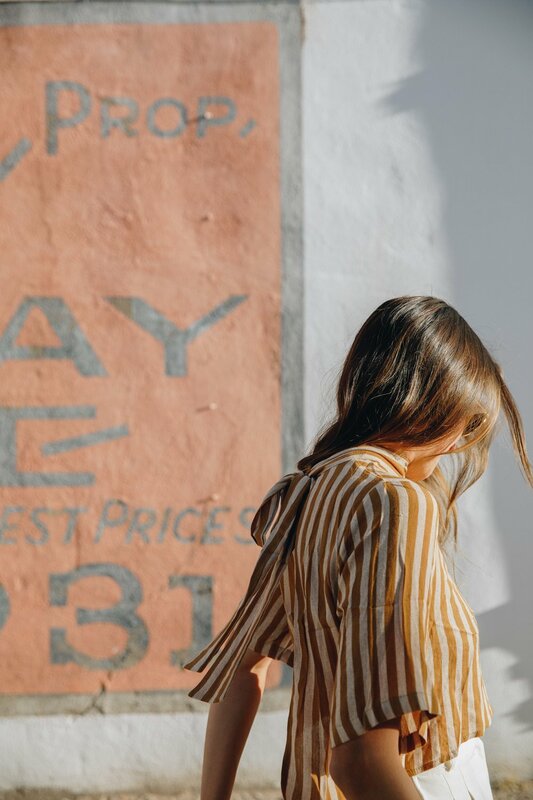 We drove into Marfa just as golden hour was approaching and within 2 point 5 seconds I wanted to live there forever. 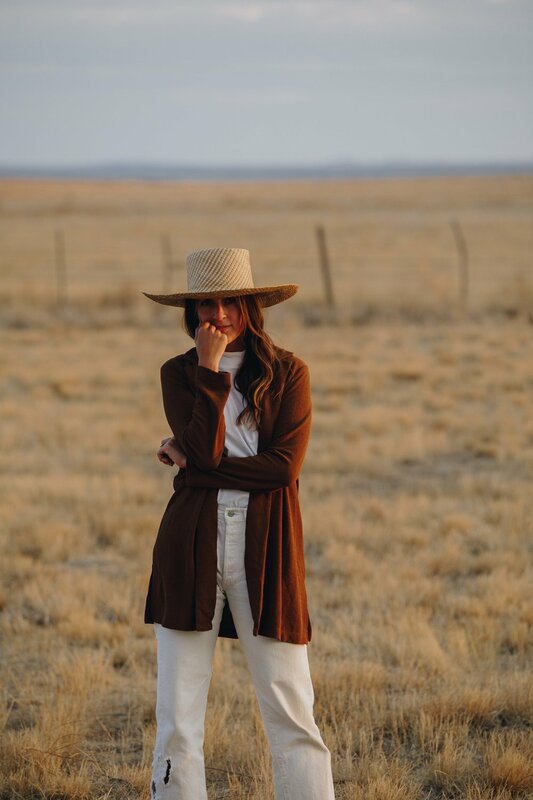 The light just got better and better as the sun went down and we were greeted with our first Marfa sunset. 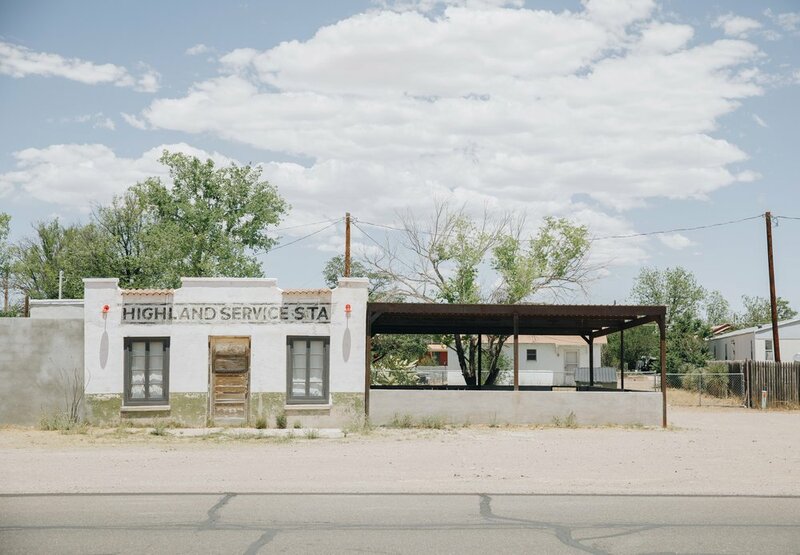 Marfa was established in the late 1800s as a water stop. Growth stalled a bit after World War II until minimalist artist Donald Judd visited in 1971. He moved from New York in the late 70s and bought a group of abandoned military barracks on the outskirts of town. He moved, and other creatives followed. 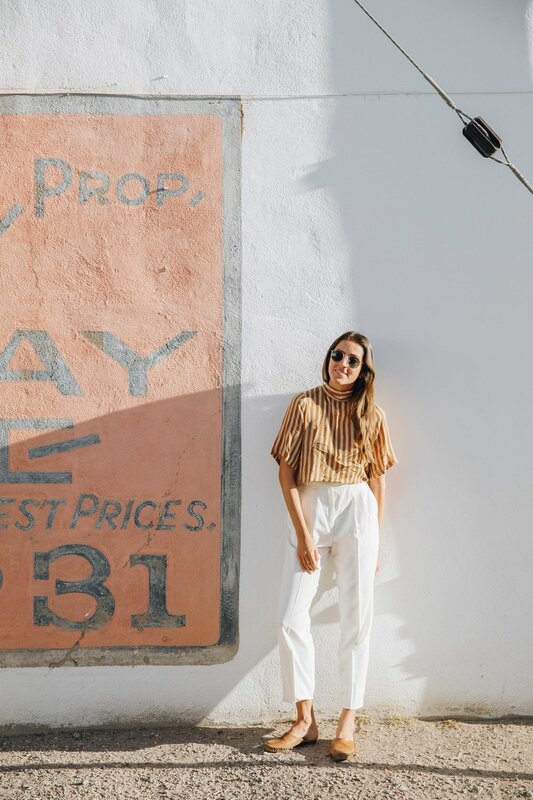 If Joshua Tree is LA's haven, then Marfa is for sure New York's. Just about everyone we met came from the East Coast. And just about everyone we met worked at every establishment there was in this town. You'll get served coffee by the same person who serves you dinner. This is what it takes to be a creative in this town: work as many jobs as possible to fuel your dreams. Just about every building is a gorgeous shop, food stop or gallery. The creative energy is almost palpable and inspiration is just about everywhere. Creatives truly have taken over this town. We were lucky enough to stay at The Juniper Moon House (Airbnb) right in the center of town. 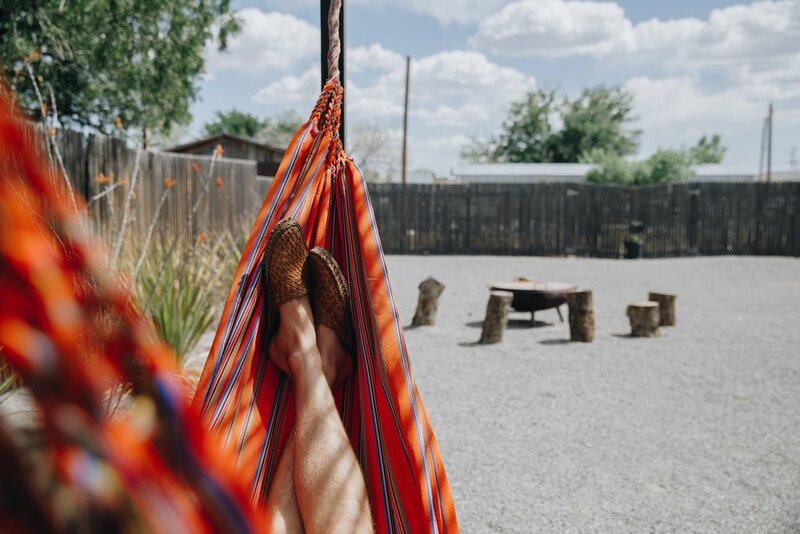 The home is styled and filled with local artists from Marfa and was an oasis for us during the oh so hot and humid days. 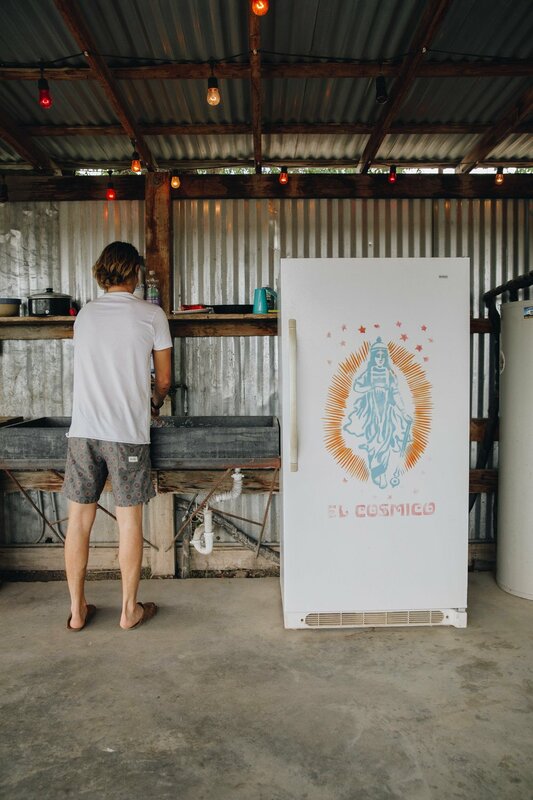 You can't go to Marfa without visiting El Cosmico. You have the option of staying in a tee pee, safari tent or vintage trailer. Walking around town there is no shortage of gorgeous storefronts. 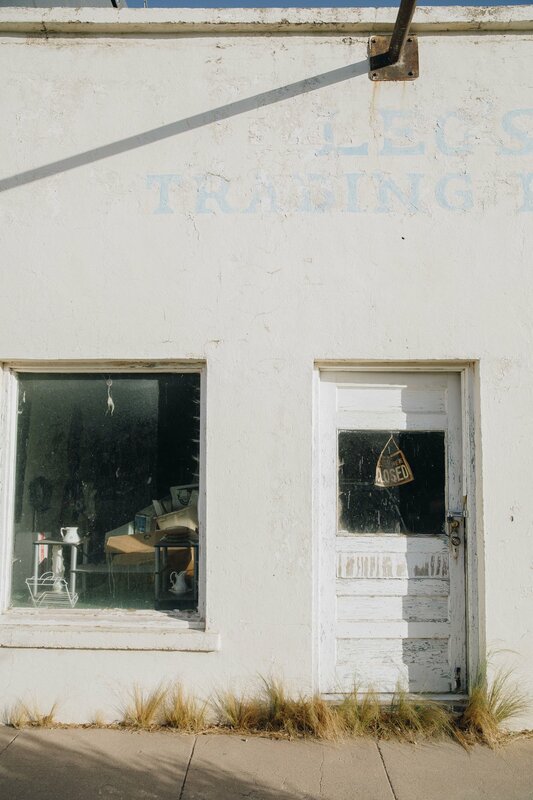 I love that Marfa has the charm of the 1800s with a town center. The Chinati Foundation is a must visit for minimal art. I loved visiting the Prada store because it's just so iconic. It didn't hurt that we had one of the most magical sunsets while we were there. 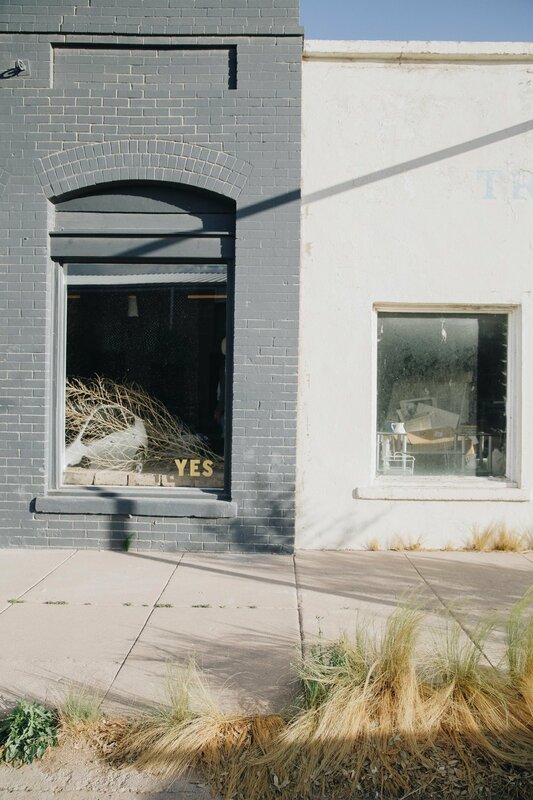 Marfa is a must. You just have to experience this town for yourself.